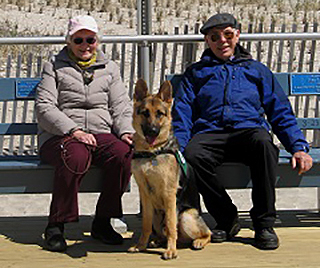 The Seeing Eye is a philanthropic organization whose mission is to enhance the independence, dignity, and self-confidence of blind people through the use of Seeing Eye® dogs. 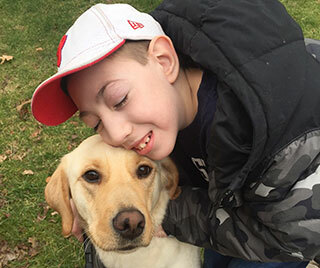 The Seeing Eye's vision is to be recognized for sustained excellence and continuous improvement as the best guide dog school to attend and to support, as a donor, volunteer, puppy raiser, or employee. To increase the independence and dignity of people who are blind, at all times treating applicants, students and graduates with respect. To provide the best dog guides possible by ensuring they are well bred and cared for, appropriately socialized, and expertly trained. To educate the public about the use of dog guides and the capabilities of people who are blind, and to provide recommendations regarding public policy issues. To provide ongoing assistance to our graduates and their dogs in order to extend the life of each partnership. 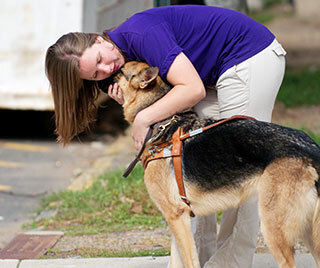 To practice fiduciary responsibility, ensuring that we can fulfill the future needs of Seeing Eye dog users. 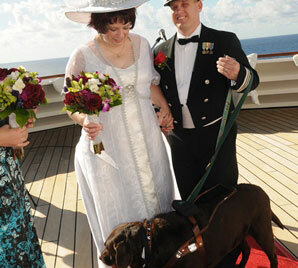 Mission Passion: Our passion for the mission of The Seeing Eye gives each day purpose. Stewardship: We keep the trust of our constituents and protect their interests through responsible individual action and caring use of the organization’s resources. Teamwork and Collaboration: We hold ourselves accountable for adding value as individuals, being supportive of our colleagues in their work, and working together to foster team success. Respect for Others: We treat others with the respect and dignity that we desire for ourselves. Integrity: We are guided by principles of honesty, integrity, and high ethical conduct in all we do. We will always do what is right. Pursuit of Excellence: We are committed to excellence now and in the future through a shared commitment to quality, timely responsiveness, and to ongoing improvement in every phase of our operations.